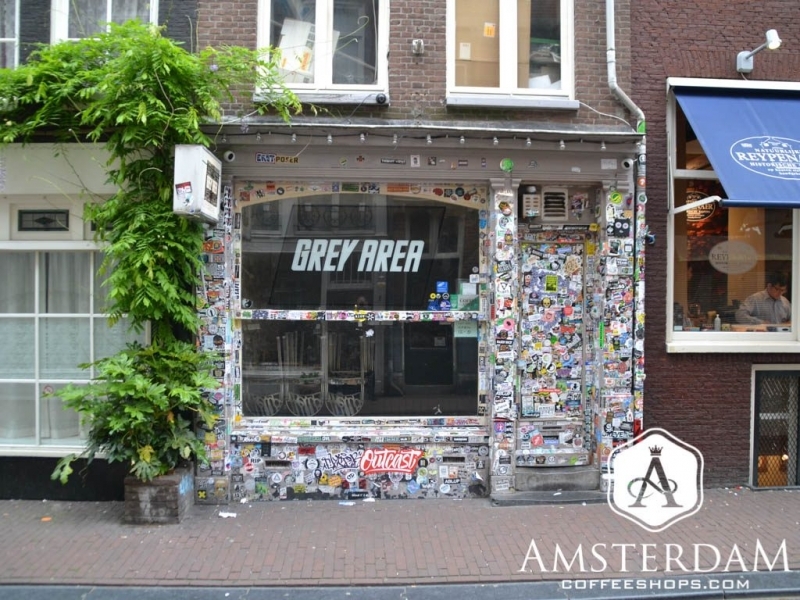 Grey Area Coffeeshop is found on Oude Leliestraat (Old Lily Street). It resides in the Grachtengordel-West neighborhood, which translates into Canal Ring West. This is one of the more picturesque parts of the city, with a great many old residences, small restaurants, trendy boutiques, and three of the city’s most beautiful canals. Likewise, this is one of the more popular areas among tourists, and where you will likely find the greatest concentration of al fresco dining options (we have not actually done the calculations). Grey Area Coffeeshop is small. In fact, it is one of the smallest in the city when it comes to square footage. Inside there is just enough room for a few tables, a shelf with a few pull-up stools, and a counter for serving cannabis products. Do not expect over-the-top décor either. The decorating in here is cheap yet ingenious at the same time. The walls, tables, pretty much every flat surface in here is covered in stickers and rolling papers that have been applied by visitors. If you take some time to look at them, you will find many small notes of greeting. Grey Area is, indeed, a global phenomenon. There are messages from every corner of the globe here. This shop is short on amenities. Do not expect a TV, hot food, or much by way of snacks or coffee. While management will provide its visitors with some basic needs, that is not really what this place is about. Grey Area is about one thing and one thing only: cannabis. 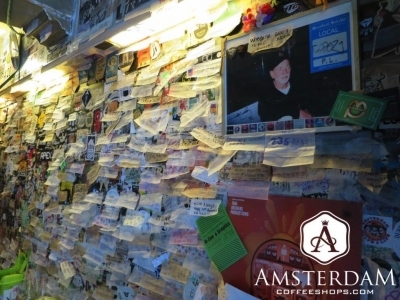 This shop has long established itself as among the most recognized connoisseur coffeeshops shops in Amsterdam. They have entered (and won awards) in countless competitions over the years, and their menu items include weed stock from some of the most awarded breeders. Its focus on quality has made Grey Area one of the city’s most famous coffeeshops. Likewise, it has been host to no shortage of celebrity clients. If there is a big concert in town and the band members enjoy weed, there are very high odds they (or someone from their crew) will make a trip here. Lines are usually long at Grey Area Coffeeshop, in spite of the fact that customers are often here just to make a quick purchase. This is a likely a testament to their focus on quality. While we would not argue this shop has “THE” best weed in the Dam (we have not found any one shop to stand above all others in this regard), it is indeed one of the most consistent for high quality connoisseur bud. Visit this shop everytime. Never been disappointed with quality or prices. By far the best shop in Amsterdam. Limited opening hours but then again if you ever go you will see the long queue outside and realise you could be in for a long wait to get in,even if you go before 12 noon when it opens. Have joined a reasonable queue at 11.15am before. Good selections you will find something here you won't see elsewhere. Always a chance of seeing someone famous. Make a point of going here is my best advice. 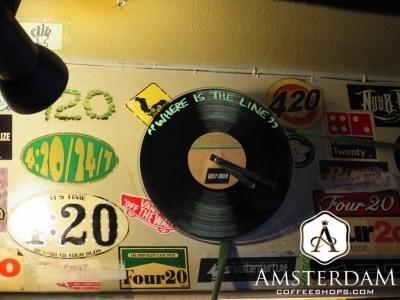 Grey Area Coffeeshop is one of the most famous such shops in Amsterdam. Though it is short on amenities, it is long on cannabis quality. This shop has earned its reputation for connoisseur weed. Grey Area is an excellent establishment that we feel is worthy of a special trip.